A time for family vacations, staying up past bedtime, enjoying activities like swimming and splash pads, and coloring at the table letting imaginations soar. 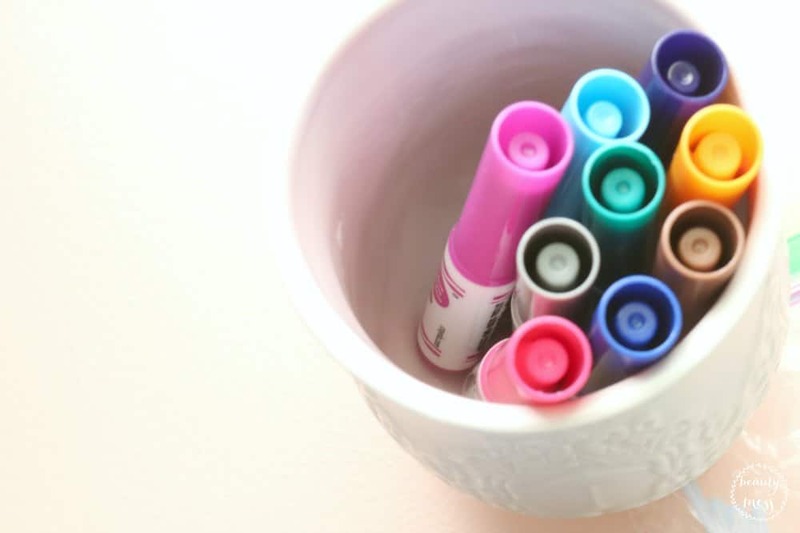 It also means lots of togetherness, trying to balance work and family life, and keeping track of bridge activities so the kids don’t forget everything they learned before school starts back. While shopping at the grocery store the other day, a fellow shopper and I exchanged looks. Her next words to me were, “Are you ready for school to start back?” I kind of laughed and said “YES!” while simultaneously hugging my older two who were with me. I love having everyone home over the summer, but the time together makes me appreciate teachers even more. Teachers play a huge role in the lives of our children. As we wrapped up the school year in May, I cried. The teachers we had this year poured into my kids so much. They handed me tissues as we talked about struggles my kids were having in the classroom. They offered tips and suggested tools. I watched as my children flourished under their teaching and leadership. These weren’t just teachers, they felt like family. I am forever thankful to them for loving on my kids the way that they did. 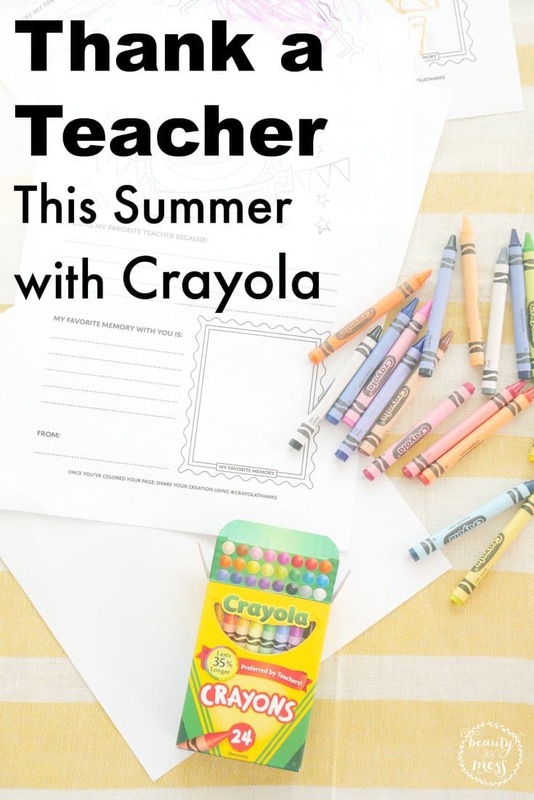 That’s why I wanted to partner with Crayola this summer and share with you a fun way for your child to show their appreciation to their teacher or teachers! 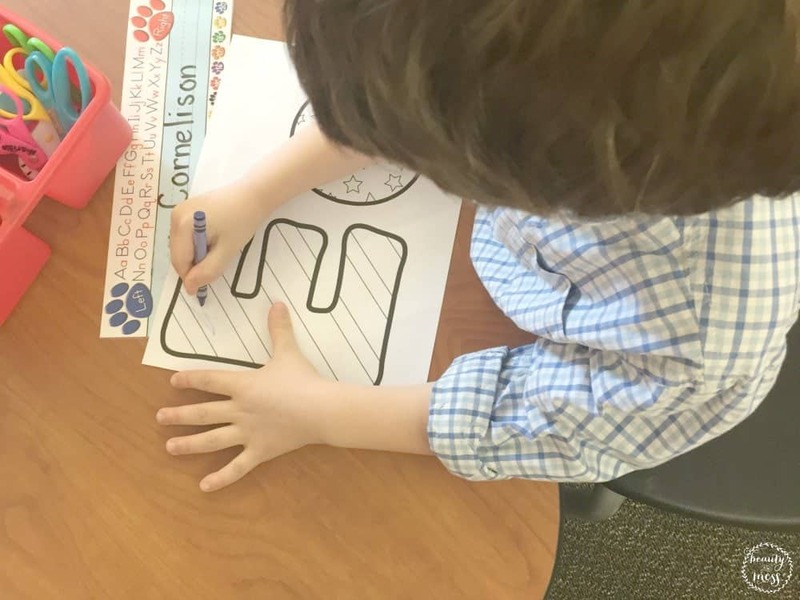 In May, Crayola launched “Thank A Teacher” to celebrate and thank teachers across the country for their commitment to students, learning, and creativity. To kick off this great initiative, Crayola asked the nation to help generate one million teacher thank-yous on social media using the hashtag #Crayolathanks. I love that the launch of the Crayola “Thank A Teacher” coincides with the brand’s 115th anniversary and history of honoring teachers! 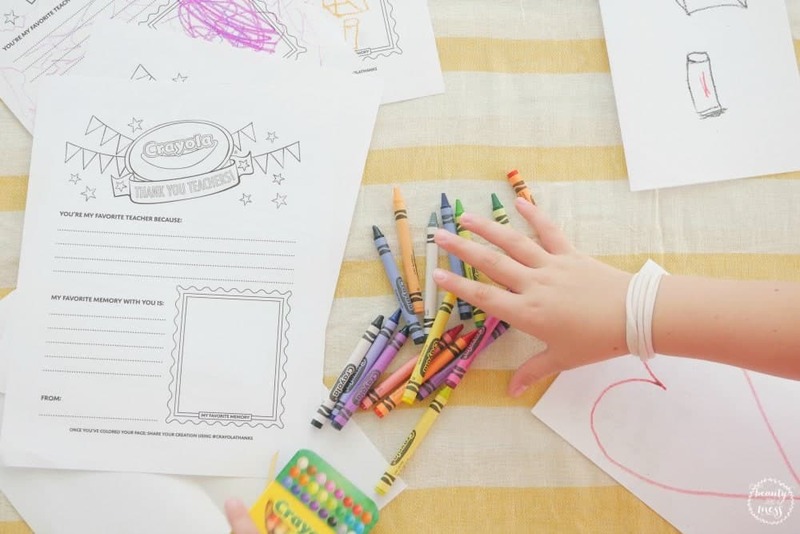 Did you know that in 1903, Binney & Smith created the first box of crayons? They did! But it gets better. 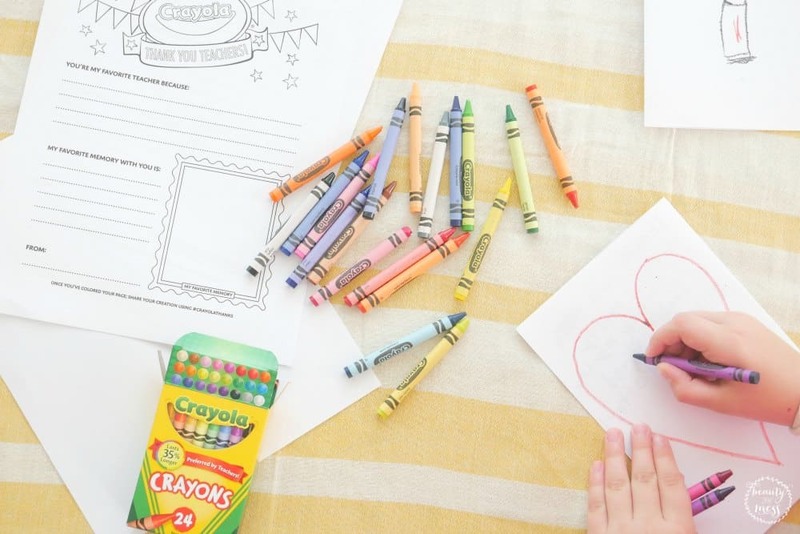 Alice Binney, a schoolteacher, and wife of co-founder Edwin Binney named the new crayons “Crayola.” How was that for a fun little history lesson?! The name Crayola is intertwined with learning and education. I love Crayola’s continued dedication to education and honoring teachers. Let’s do our part! We can help Crayola reach one million thank-yous for teachers across the country to thank them for their commitment to students, learning, and creativity. From July 1st through August 25th, kids and families can show their appreciation for teachers by entering Crayola’s “Thank A Teacher” contest. 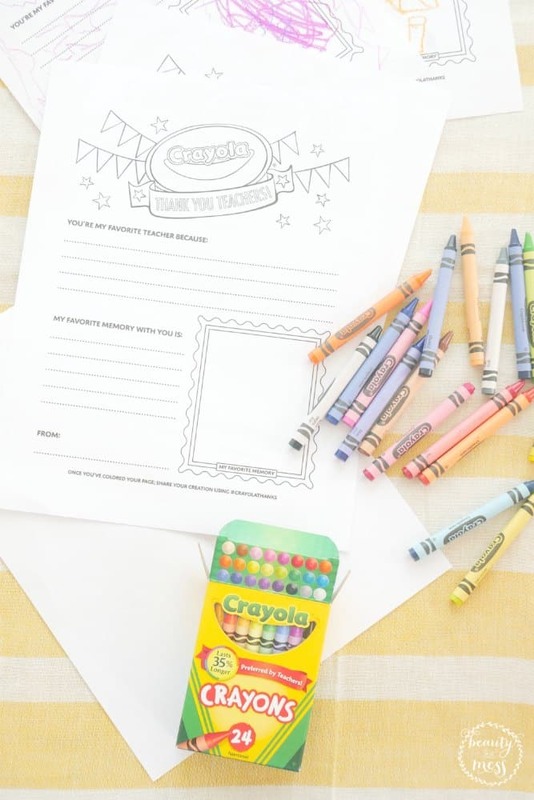 All they have to do is create a thank you note for their teacher and upload their handmade thank you note to the Crayola “Thank a Teacher” website, also which also gives them the chance to win prizes for their family, teacher, and school! The grand prize is super exciting. One lucky finalist will have his or her thank-you note featured on a special box of Crayola Crayons this holiday season!! In addition, there is a weekly contest that will give entrants a chance to win $500 gift cards for themselves and their teachers! My kids are super excited about getting to write their favorite teachers a thank you note. They will be over the moon if they also win a prize for themselves or their teachers. I also love that it’s teaching them to be thankful. A heart of gratitude is an important part of life too. Who are the teachers you are thankful for?